If you’re new to Z-Wave it’s recommended to start with a simple sensor such as a power plug. If you start with a 110 dB siren, you might have to go through a bit of configuring in front of your laptop using ear plugs until you get all the settings right. So, start simple and then build from there since that’s the beauty of Z-Wave; once you have a small network up and running, you can add devices stepwise. 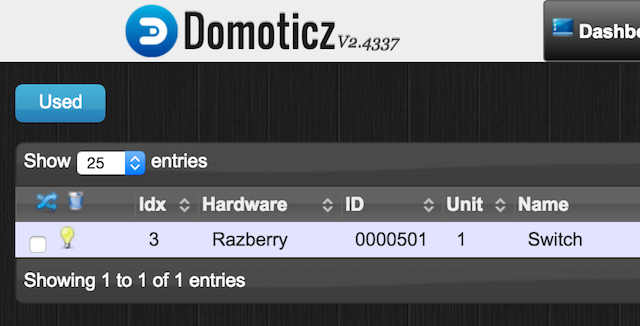 Make sure your Raspberry is up and running with Domoticz (check this post if you need guidance). Open up the Domoticz user interface in the browser of your laptop. In the ”Setup” menu select ”Hardware”. 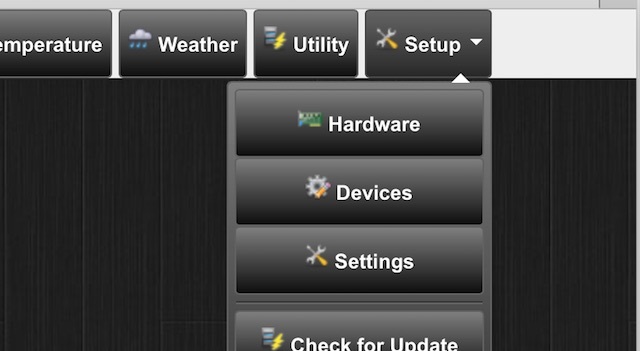 Click on the ”Setup” button on the row of your Razberry unit. In the ”Node management” dropdown list, click on ”Include Node”. For our Z-Wave power plug, it’s now enough if we simply plug it into the wall outlet. It will automatically enter inclusion mode. Other devices might require that you push a physical button on them. This is usually explained in the user manual of your Z-Wave device you’re going to add to your Z-Wave network. 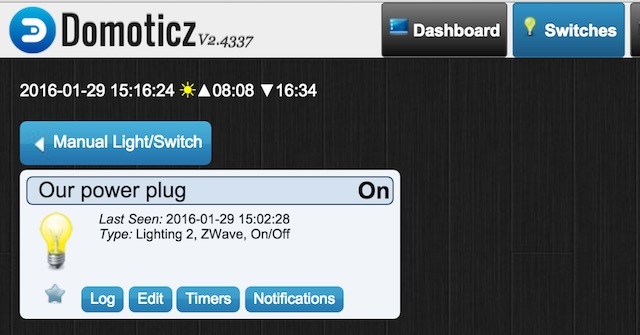 Now, our Z-Wave power plug is added to our Z-Wave network. It’s currently a very small network with one controller (i.e. the Razberry) and one device (i.e. the power plug). In the ”Setup” menu, select ”Devices”. Here you can click on the light bulb icon to turn on and off the power plug. Make sure you have a lamp plugged in to the plug to really feel the magic as you wirelessly control the power plug through Z-Wave. 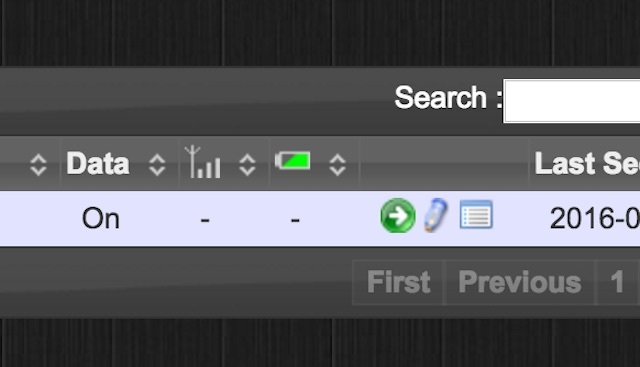 To make the switch appear under the ”Switches” tab, we click on the green arrow located on the right side in the row of the power plug. We name it ”Our power plug” and click ”Add Device”. When we click on the ”Switches” tab, we see our power plug. If you want the device to appear on the ”Dashboard” you simply click on the little star in the power plug box (under the bulb icon). 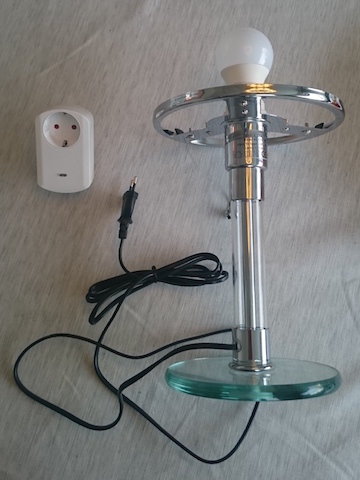 In future posts, we will go through how to connect a sensor with this power plug so you can trigger the lights to go on when someone enters the room. The same steps can be used to trigger a siren or make a curtain go up when the sun light level decrease below a defined level. Thank you for the clear explanation. Much appreciated!